What Will Christmas Bring to Youngstown, Ohio? Can shale sustain this cyclical boomtown? 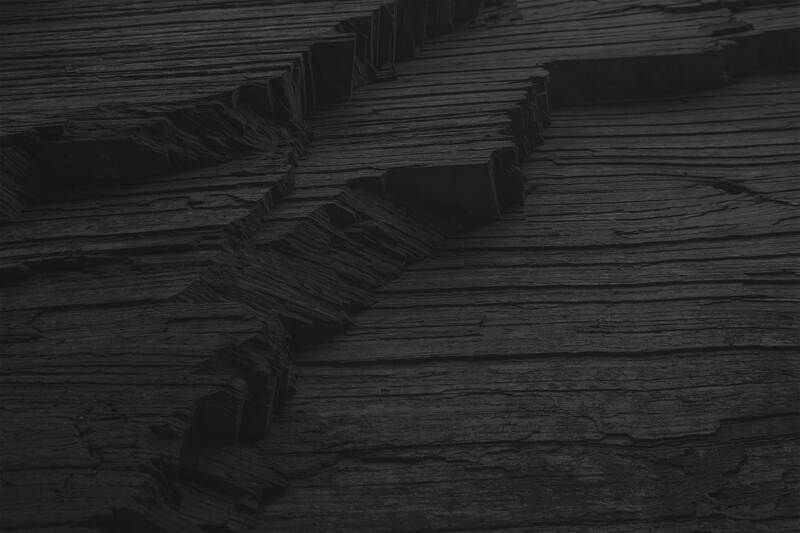 The American Shale Revolution has, without a doubt, impacted countless towns around the country. The mass influx of workers, the high wages, and the new job opportunities have boosted struggling towns and given the residents of economically depressed areas something to look forward to. But through this glimmer of hope, many can’t help but remember the booms of the past that stranded once-thriving communities once the heyday ceased. There are no two ways about it: The energy industry is cyclical, repeating its boom-and-bust scenario in perpetuity. Will the benefits that shale has brought these communities be strong enough and substantial enough to create a lasting legacy? Can these towns build on the foundation of the boost they’ve felt from shale, enough to maintain good economic growth? Or will history repeat itself, pushing the towns back into a slump? One such community is Youngstown, Ohio. It has been known by many names over the past century. Beginning in the 1890s, the city was Boomtown, USA. 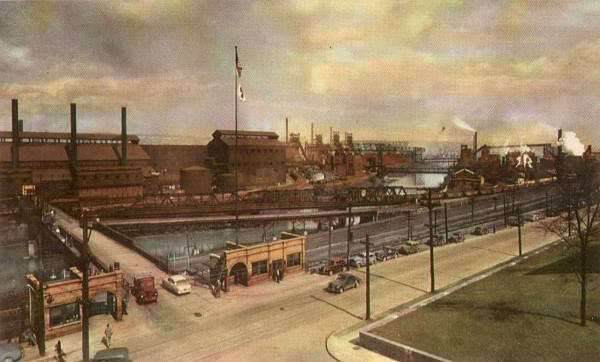 From 1890 to 1930, Youngstown’s population soared from 33,000 to 170,000. By the 1930s, the town was next dubbed “The City of Homes” thanks to its fifth-place ranking of home ownership, compared to the rest of the country. So desirable was Youngstown during this time that it even suffered a housing shortage – just like shale boomtown Williston, North Dakota. Youngstown sits in the center of Mahoning Valley, which earned the nickname “Steel Valley.” And as a major beneficiary of the rise of manufacturing – steel in particular – with Republic Steel, the U.S. Steel Ohio Works, Youngstown Sheet and Tube Company, and Brier Hill Works making their homes there, the area certainly lived up to its nickname. But in 1959, the town earned a new moniker. “Steel’s Sick City” fell victim to a slowing economy and a national steel strike, which spelled doom for the industry, culminating in collapse in the late 1970s. Youngstown Mayor John McNally, who’s lived nearly all his life in the city, remembers well September 19, 1977. 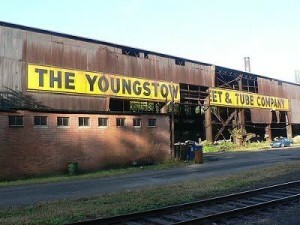 Youngstown Sheet and Tube Company, then one of America’s largest regional steel manufacturing firms, announced it would close most of its operations in and around Youngstown. After years of continued lost investment, economic depression, and high crime rates, Youngstown was relabeled again as “The Incredible Shrinking City” when in 2013 the US Census revealed the town to be at the top of the list of places to lose population since 2010. In fact, Youngstown was the only city to lose more than 2% of its population in two years, and its overall population in 2010 was less than half what it was in 1950. Sadly, Youngstown was a textbook case of deindustrialization. The shuttered site of the country’s once-busiest steel mills became home to a scrap yard as a modern-day monument to the city’s decline. But from the ashes come rebirth. Indeed, the city that once boasted phenomenal growth before crumpling into debilitating depression is now showing signs of revitalization. Again. This is largely driven by the continuing development of the Marcellus shale, which encompasses 104,000 square miles across Pennsylvania, West Virginia, Ohio, and New York, as well as the underlying Utica formation. Youngstown is well-equipped for a drilling boom. The city is ready, with available sites for plants, a skilled workforce, strong economic development incentives for businesses, ample available housing for industry newcomers and strong school systems for their families, railroad and freeway access to drilling sites, and necessary infrastructure to support increased business growth. “People can get right to work,” McNally said. And people have certainly followed said work. Already the population of Greater Mahoning County, where Youngstown is county seat, is up more than 20% since 2000. Energy companies began investing in the Utica in 2011. Chesapeake Energy, for one, had already $2.2 billion as of 2012 into drilling in Ohio. McNally said the biggest evidence of his city’s tentative resurgence are the recent projects by Vallourec Star, North America’s leading producer of seamless Oil Country Tubular Goods (OCTG) – think: tubes and premium connections for drilling operations, line pipes, well equipment, etc. The company completed construction on a $1.1-billion pipe threading facility in the city in 2013. The new mill is a direct result of manufacturing demands brought on by drilling in the Marcellus and Utica shale fields. Unfortunately, the downturn in energy prices over the winter put a damper on the excitement over new jobs. Plunging oil prices forced Vallourec Star to temporarily shutter the Youngstown mill for three weeks in March and April. But the new bikes aren’t limited to families involved in the energy sector. With so many newcomers to the area, Youngstown establishments across the board are enjoying an uptick in business similar to other boomtowns. Mayor McNally is hopeful that the increase in restaurant, entertainment, and hotel business indicate a rosier future. It seems as if Youngstown is a city on the cusp of a comeback. With more jobs available as new energy companies entered the market, home prices began rising in response. Between July 2013 and October 2013, year-over-year median sales price jumped 17.7%. During the same time, average price per square foot spiked 13%. 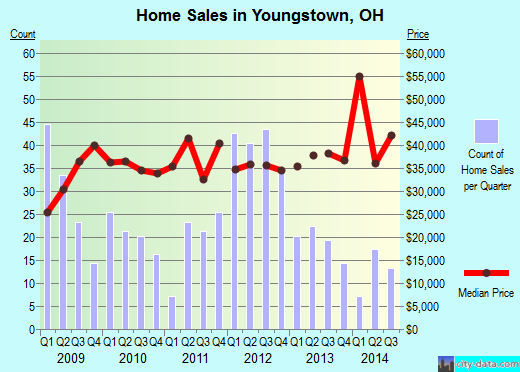 The number of Youngstown homes sold grew from a 4th quarter 2010 low of about 100 units to more than 800 just three quarters later. Over the past five years, selling prices have tended to fluctuate between $65,000 and $100,000, although the figure has been leveling off around the $80,000 mark since 2011. The past few years may have resurrected the City of Homes of the 1930s. Will the moniker last this time around? Time will tell whether Youngstown will succeed in permanently shedding its reputation as “America’s Incredible Shrinking City.” Hopefully Mayor McNally and his constituents can look forward to many more happy Christmases. These stories always leave me cold. The boom-and-bust cycle must be hard and makes me wonder what these cities can do to diversify industry. The oil industry is down now but it looks as if recovery is not far off. I hope cities like Youngstown can not only rebuild but grow stronger in other ways, as well. John McNally, graduated from Georgetown University in 1991 with a Bachelor of Science Degree in Foreign Service. Mayor McNally received his Juris Doctor and Master's in Public Administration in 1996 from the Cleveland-Marshall College of Law and the Levin College of Urban Affairs. From 1998 until 2002, Mayor McNally served as Assistant Law Director for the City of Youngstown. 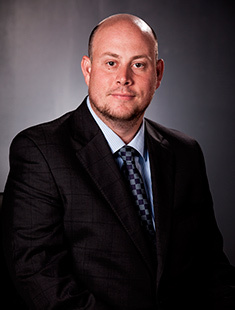 From 2002 through 2004, he served as Law Director for the City of Youngstown. He served as Mahoning County Commissioner from 2005-2012 and won the General Election to serve as Mayor of Youngstown on November 5, 2013.